This ceiling lamp symbolizes the harmony of planets orbiting a star. Bring the solar system into any space with the Physics ceiling lamp. 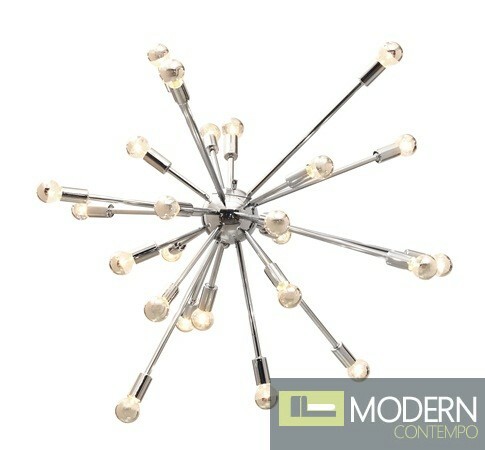 Made from chrome and includes 25 - 15W max chrome dipped bulbs. It is UL approved.